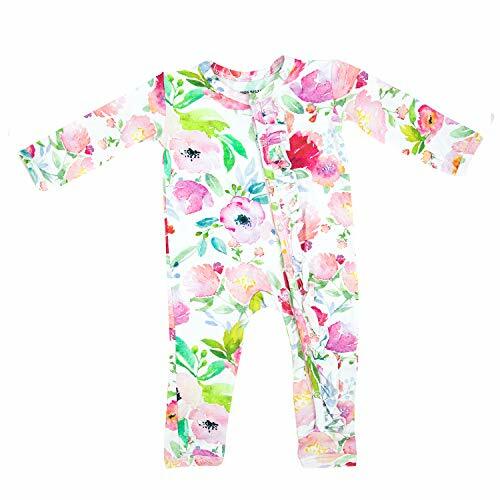 ADDISON BELLE Knit One Piece Baby Romper - Watercolor Floral. Made from a premium blend of bamboo rayon and spandex. Available in newborn sizes up to 9/12 months.